Hello everyone! Today i decided to play along with the lawnscaping Challenge blog. 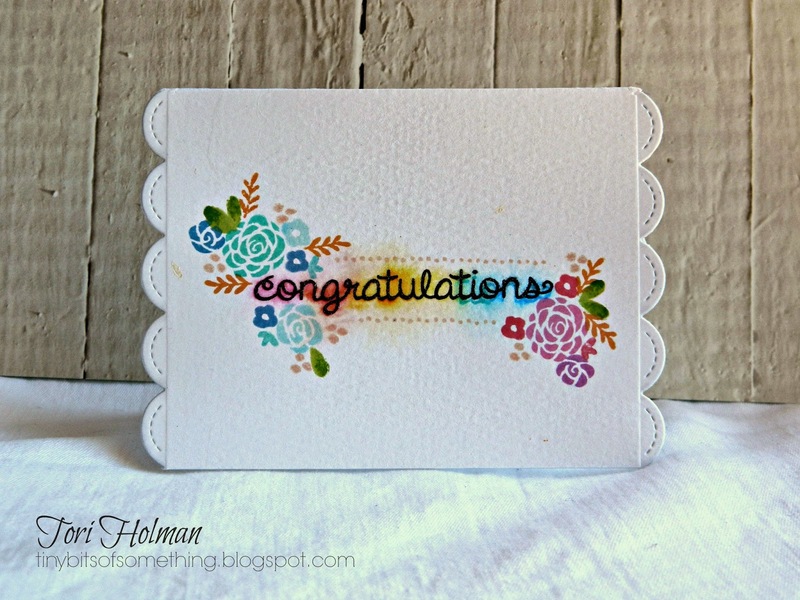 I LOVE lawn Fawn stamps and one of my favorites is Penelope's Blossoms. I am really loving all the stamp sets that you can build your own custom designs and this stamp set is perfect for that. You get all these beautiful flowers in all different sizes and some great sentiments. 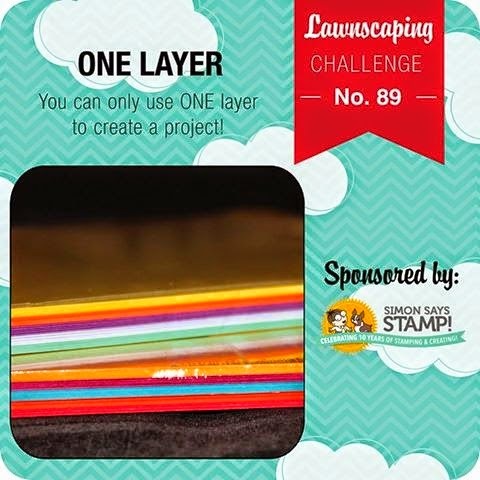 So the theme of this challenge is one layer cards. When I saw this challenge I thought this would be no problem to create a one layer card but it turned out to be much more challenging then I originally thought. I loved playing along this month because I really pushed myself to create a one layer card that still had lots of dimension. So to create the watercolor look behind the sentiment I used my distress inks and WATERCOLOR paper(the watercolor paper is key), now this took a bit of time to create but I think it was well worth it. 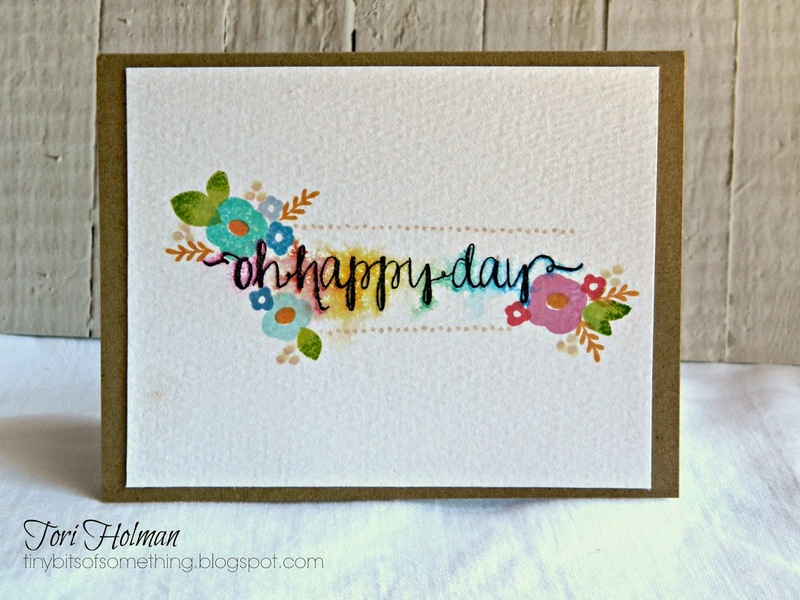 I inked up different sections of my sentiment using bright colored distress inks. I ink one color at a time, stamped then cleaned my stamp and repeated the process. If you had the mini distress ink pads you could probably do the whole sentiment at once but I have the big ones so I did one section at a time. After I had my sentiment all stamped I used a mini mister (any sprayer would work) and sprayed my sentiment. The great thing about distress inks are they instantly react with the water and give you a beautiful watercolor look. After it had dried completely I stamped the sentiment again in black so it was nice and bold. Now if you did this technique on regular cardstock it would work but your results would not be as good. The watercolor paper really allows those colors to bleed and still stay vibrant. Here is another card I did using the same technique just with different stamps by Avery Elle. Thank you for stopping by and I hope you have a great rest of the weekend! These are very pretty! Love the water color background!